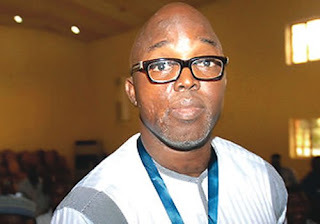 Security personnel attached to the Presidential Investigative Panel on Friday invaded the Nigeria Football Federation to effect the arrest of the NFF President, Amaju Pinnick and four other top officials. The Policemen who were armed arrived the NFF glasshouse at about 11am with a warrant of arrest to pick up Amaju, NFF first and second vice presidents, Seyi Akinwunmi, Shehu Dikko, NFF Secretary general, Mohammed Sanusi and NFF technical committee chairman, Ahmed Yusuf Fresh. Unfortunately, none of them were around. A source who witnessed the drama informed Sportinglife.ng that the security guards at the federation made an attempt to challenge the policemen, but had to withdraw after they shown the warrant of arrest. “They searched the offices and did not find anything or the people they were looking for, after the security guards allowed them access. “I just wondered what would have happened if they were around,” our source said. Recalled Chairman of the panel, Okoi Obono-Obla had on Wednesday said the five officials must clear their names following alleged fraud, mismanagement and misapplication of funds leveled against them. But they failed to show up thus leading to the panel applying the use of force.